"Bercow has really taken one for the team...MPs of all sides have been terrified of taking on their constituents by backing a second vote. Now they can argue it has been foisted upon them." The most unpredictable process in political history just took another remarkable turn. 11 days before the UK is scheduled to leave the EU, the Speaker of the House of Commons has sparked a constitutional crisis by blowing up the government's strategy. Literally nobody is sure what comes next. The upshot so far as betting signals are concerned is that Brexit is likelier than ever to be delayed, and that delay is getting longer. Leaving on 29/03/19 is now merely a 14% chance at odds of [7.0]. 'Yes' to Will Article 50 Be Extended? correlates on the other side at [1.15] (87%). Parliament may well produce some more drama today as the government try to fight back but the main focus is now on Thursday's EU summit and that extension. There is much talk of Theresa May requesting a two-option extension - a short one until the end of June, if her vote passes next time around, or a longer one if not. 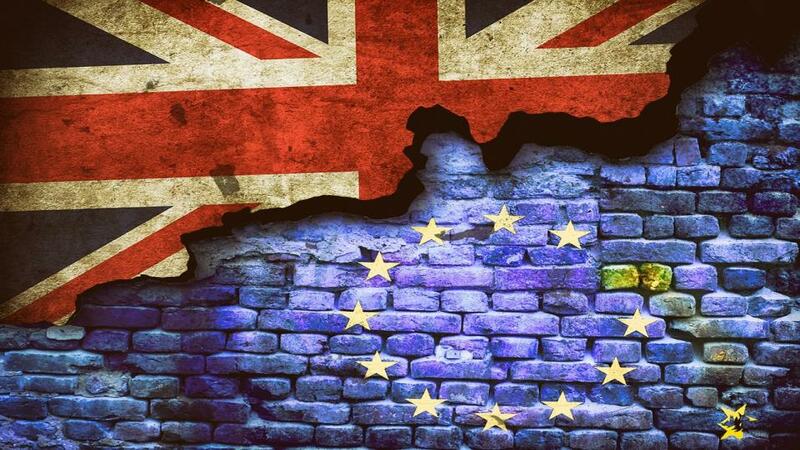 Although nothing is certain by any means, there seems to be a consensus that the EU will offer some sort of extension and that, if for whatever reason they didn't, parliament would do whatever it takes to stop no deal. That is about the only clear message emerging though and were the EU to accept a two-stage extension, it would likely involve conditions. That, in my view, is where we are headed. Without the threat of no deal hanging over MPs, I don't envisage the Withdrawal Agreement passing. The objections to it from all sides beyond the government payroll are deeply held. MV3 is rated 61% likely to lose at odds of [1.64] but, note, if there is no vote by 30/03/19, that market will be void. The government will therefore need to request a much longer extension, which the EU have long indicated would require more clarity of purpose - which only another referendum or, arguably, a general election would provide. Amidst all this uncertainty, numerous markets have become wide-open. April-June 2019 remains favourite in our Brexit Date market at [3.9] (26%) but only just ahead of 'Not Before 2022' at [4.2]. I expect the latter gamble has further to go. A second referendum in 2020 has shortened to [3.55]. This could certainly happen now, as a condition of extending A50. If Bercow is indeed driven by Remainer tendencies, he has really taken one for the team and helped this along. MPs of all sides have been terrified of taking on their constituents by backing a second vote. Now they can argue it has been foisted upon them by the Speaker's actions and, given that all other options to break the deadlock have failed, they must reluctantly return the vote to the people. I must, however, add a couple of warnings about backing a second referendum in 2010. It could well be later if the extension is long enough. Even if decided upon quickly, Brexiters in parliament could filibuster any referendum bill. That would be a terrible strategy ahead of a second vote but don't rule it out. Instead, if you're looking to back against Brexit happening, backing 2022 onwards for the exit date is a better option. This would probably require a referendum - although A50 revocation is also a possibility - for which Remain likely start strong favourite. So a bet at [4.2] could be laid back at heavy odds-on if and whenever that referendum were called. One logical, previously mooted plan, is to extend for two years whilst ditching the equivalent extension built into the Withdrawal Agreement. Instead of spending two years negotiating the future relationship outside the EU but under the same rules, they will do so within it. If Brexit is indeed kicked into the long grass, the political ramifications will be both immediate and profound. Theresa May is completely cornered. Her deal looks dead. Her party hates the idea of any extension, let alone a long one, or participating in the Euro elections. Fears that Brexit will never happen are rife and she will, fairly or not, shoulder the blame. Virtually nobody will want her to lead any renegotiations or the future relationship. Last week, I recommended a bet on May to leave between Apr-Jun at [4.5]. That has come into [3.7] and may well fall further in the coming days but a better betting option about her demise has emerged. Betfair's market on First to Happen - Brexit/May to leave has been all over the place, and been very hard to price up amidst all the uncertainty on both sides of the bet. In light of yesterday, though, [1.71] about May going first looks an outstanding bet. No way will she lead over the long-term. Her party, even her cabinet, will not want her leading any renegotiations or the future relationship talks. Her role has long been to deliver Brexit and stand aside. If it isn't happening, and both the exit date and MV3 betting imply a long extension, the PM will surely be replaced within a few months. The trigger for that, and the next divisive phase, may be the Euro elections. Few seem to have been taking this prospect seriously but, if the UK is to extend A50 beyond June, they must participate. Get set for the mother of all Tory civil wars.